to giving each bird a chance to soar once more. 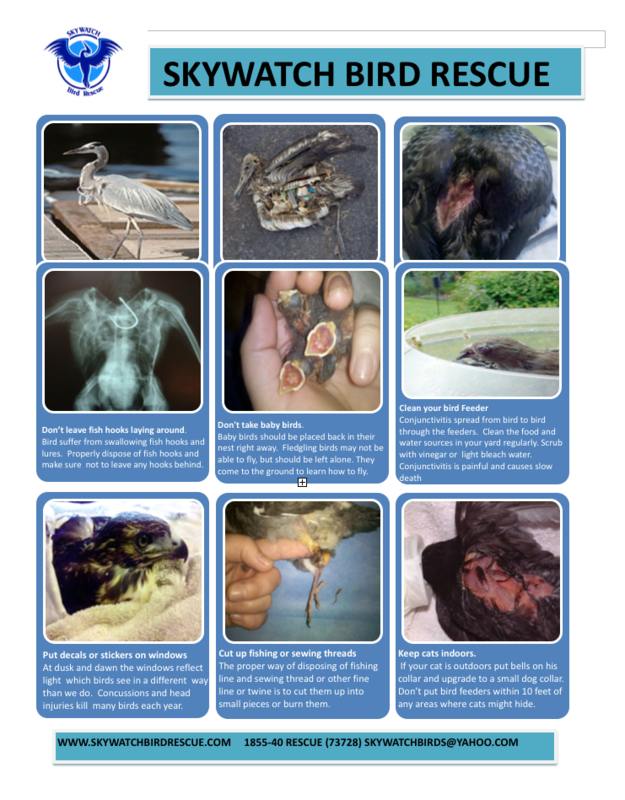 Our daily mission is to provide immediate response to injured wildlife in Wilmington, NC and surrounding areas. At this time we offer certain on-site educational programs which can be booked through our director; we also offer off-site programs for larger groups. Kids will love their experience which promotes age appropriate learning and awareness. 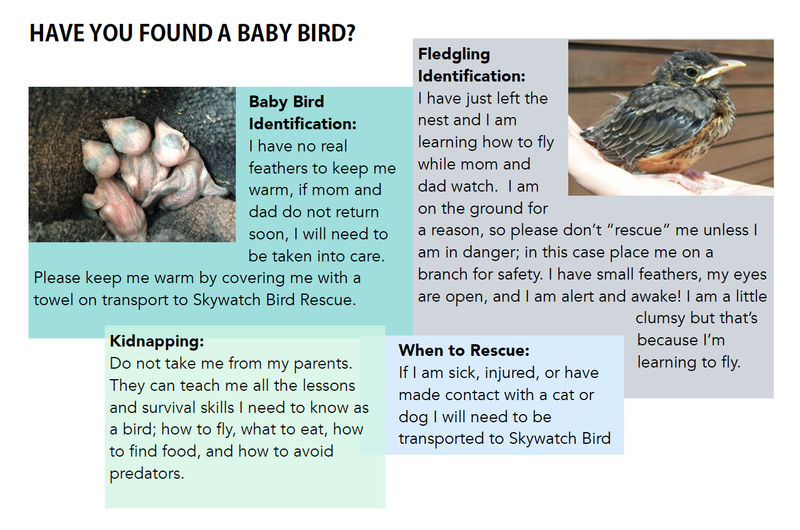 We also offer volunteer training in “capturing and handling” and “bird transport.” Please call for details. Our ongoing work includes active intake of migratory and non-migratory birds with a focus on rehabilitation and release back into the wild. 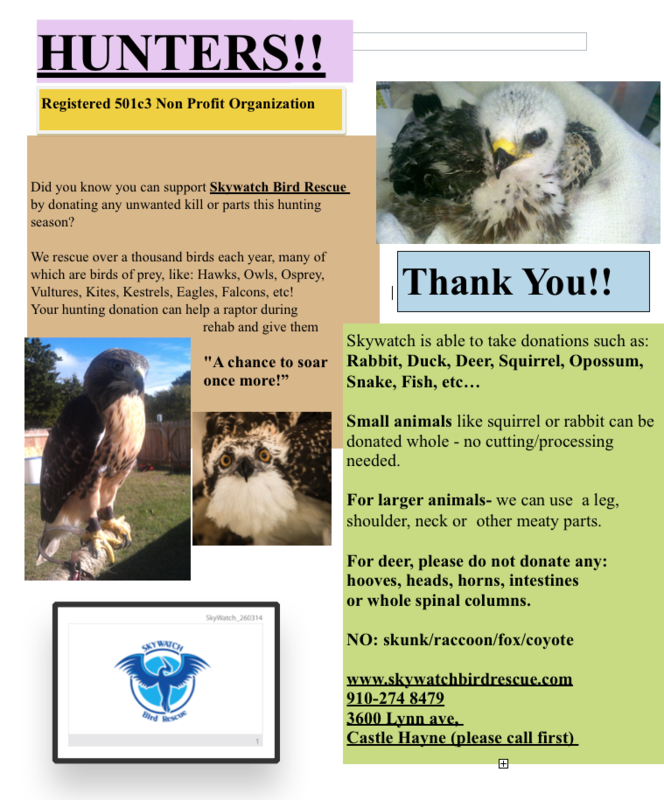 Our main goal at SkyWatch Bird Rescue is to rehabilitate and release injured birds back into the wild. But we also focus on building and maintaining a lifelong sanctuary for our non-releasable patients. 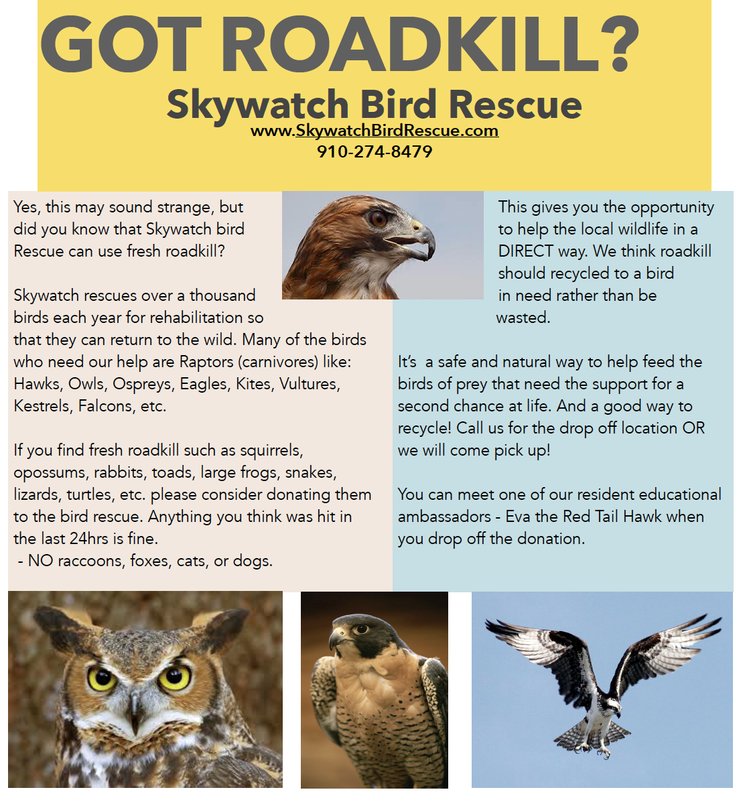 Our mission at SkyWatch Bird Rescue is to raise public awareness through education and to promote preservation and conservation. 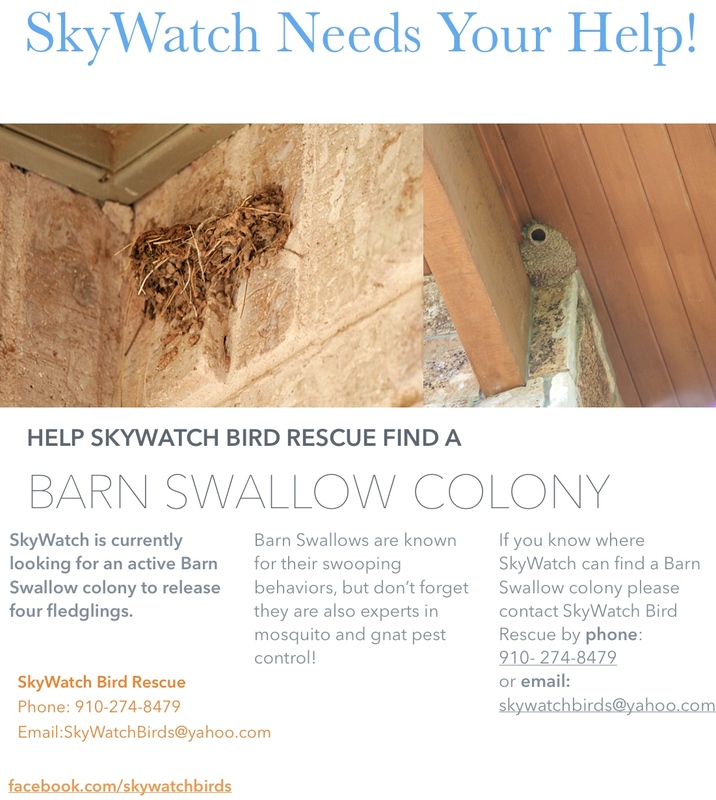 SkyWatch Bird Rescue reaches deep into the community to help both people and birds. 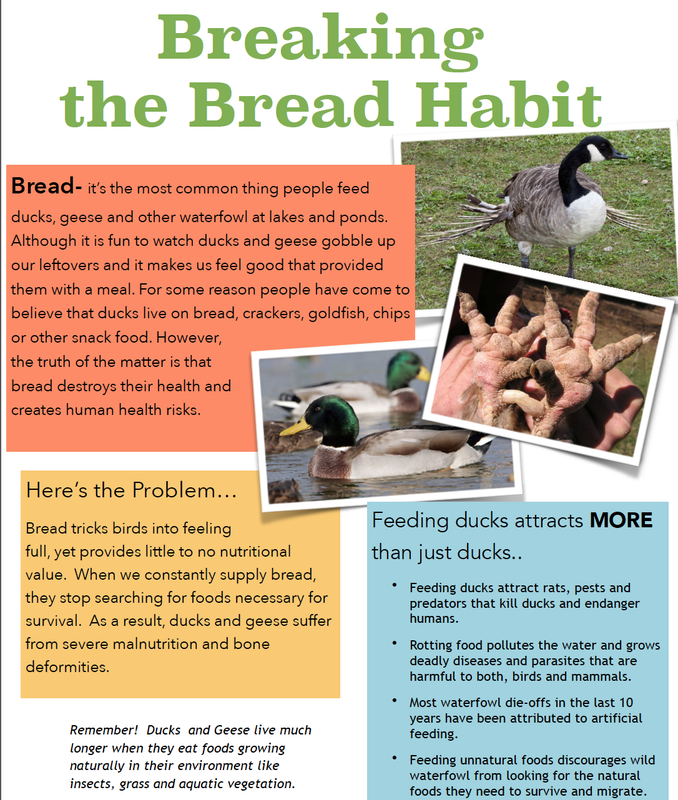 We are a free resource for the community with whom we share both wildlife awareness and provide a service. So she went all in. Last month, Amelia and her family moved from Wilmington, NC to a 10-acre spread in Castle Hayne, NC. There, she hopes to expand the rescue, adding flight pens, a bird hospital, an educational center and, eventually, a bird-centric zoo facility, all open to the public. The goal, she said, is to continue to help injured birds while informing the public about their presence. 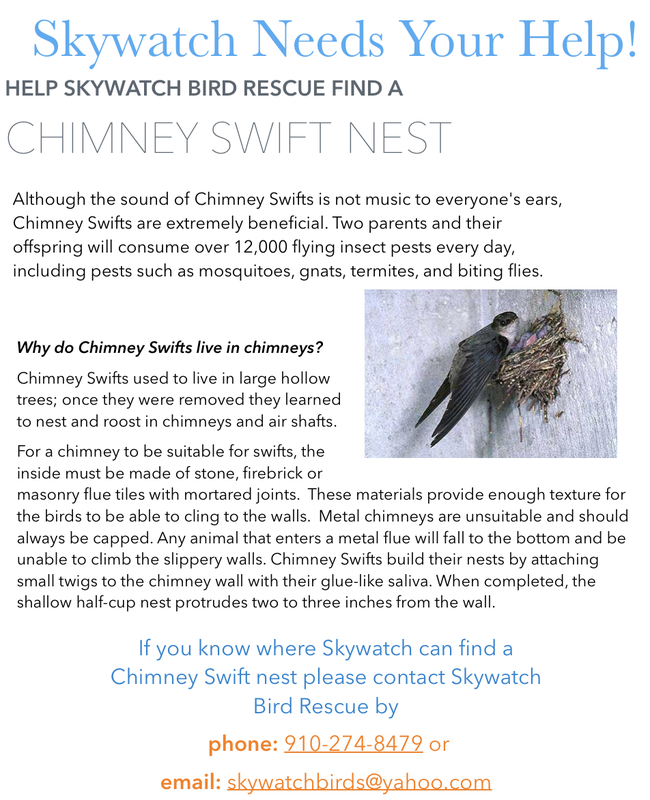 How can you help birds? 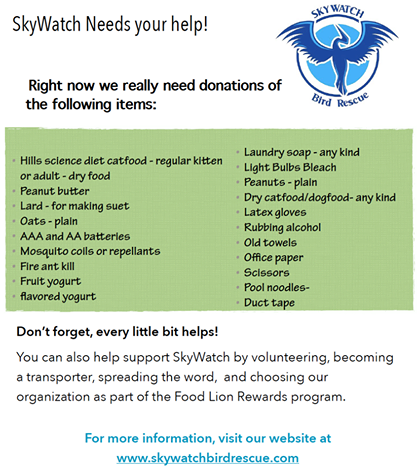 Are you a friend of SkyWatch? 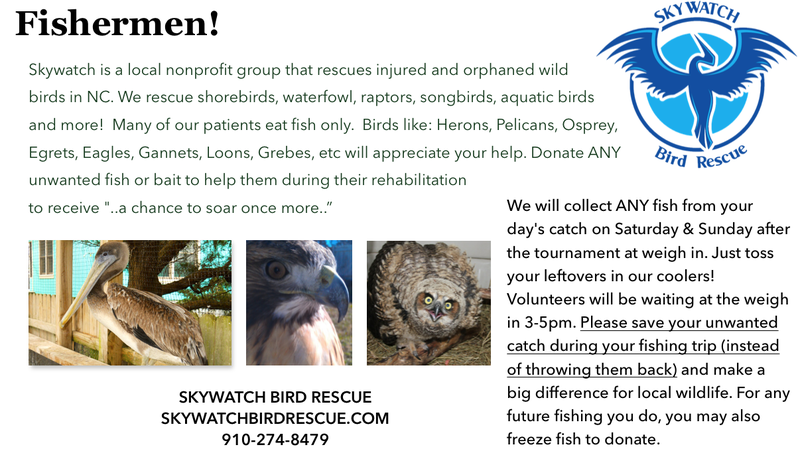 If your business is interested in donating or partnering with SkyWatch Bird Rescue, we’d love to hear from you!